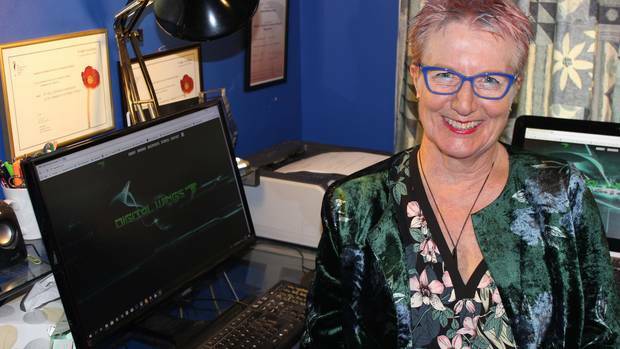 Di Daniels has been made a Member of the New Zealand Order of Merit for services to digital literacy education, in the Queen’s Birthday Honours List. Di, from Raumati South, has led initiatives to provide digital literacy education and free computer hardware to thousands of families in low decile school areas since the early 2000s. “I was very surprised and quite emotional really,” she said about the accolade. Di was doing a masters in Māori education at Whitireia, Porirua, where she had been a tutor, when a lecturer mentioned a Computers in Homes programme the campus was starting. “I realised it would impact on a lot of my students in Porirua who were handwriting their essays. She was soon volunteering with the 20/20 Communications Trust with the programme, and would become national co-ordinator for many years. “When I started there were only four projects and I grew it to 22 regions with around 30 contracted staff. During this time more than 19,000 New Zealand families have received digital literacy training and access to free computers. “I can’t take credit for that number of families — it’s the whole team. Government funding for the programme ended in June 2017, and the Trust has had to maintain national capability for delivery of digital inclusion programmes by drawing on its reserves built up over the last seven years. “With this news, our 20/20 Trust Board will consider how to maintain national delivery capability and shrink our operations to match our reduced income until Computers in Homes funding is restored” said Mr Millar.